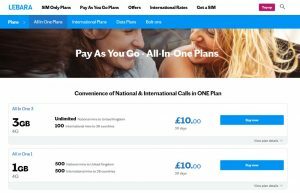 Lebara Mobile offers 30-day SIM-only plans and Pay As You Go bundles from £10/month with inclusive international phone calls. In the UK, Lebara Mobile is a specialist provider of international phone calls. Customers choosing one of Lebara’s SIM-only deals or Pay As You Go bundles will receive an inclusive allowance of international minutes, along with the normal allowance of UK minutes, texts and mobile data. Customers on Lebara Mobile will have access to 4G coverage from the Vodafone network. There are a range of special offers available on Lebara such as £10 of free credit when you transfer your phone number in to the network and 10% off all top-ups if you’re a student. 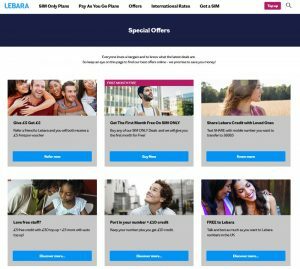 In this article, we review Lebara Mobile’s SIM-only offering including the 30-day plans, bundles and offers that are available on the network. 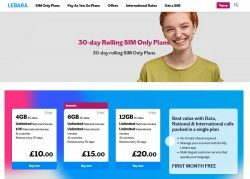 SIM Only Deals: This is an online-only 30-day rolling plan where you’ll get an allowance of UK & international minutes along with text messages and data. Payment will be taken automatically for your plan every 30 days on Lebara SIM Only. Pay As You Go Bundles: Lebara’s Pay As You Go bundles give you a little more flexibility compared to the SIM Only plans. Once again, you’ll buy a 30-day allowance of UK & international minutes along with text messages and mobile data. However, you’ll also have some flexibility to change back to traditional Pay As You Go, or to stop buying a bundle where necessary. In the following section, we’ll review each of these two options in more detail. For most people, getting a SIM Only Deal will be the best value way of using Lebara Mobile. You’ll get an allowance of international minutes which can be used for calling 41 countries. You’ll also get unlimited UK minutes, unlimited UK texts and an allowance of 4G mobile data for use in the UK and Europe. With a SIM Only Deal, your allowances will automatically renew every 30 days. Payment will be taken for the following month’s usage from your registered credit card, debit card or PayPal account. Unlike on many other networks, there’s no need to undergo a credit check when taking out a SIM-only contract with Lebara. The contract works on a pre-paid basis so it isn’t possible for you to run up additional charges outside of your allowance (you’ll need to top-up your SIM card with additional credit before you’re able to run up any other charges). Lebara’s SIM-only deals are only available for purchase online via this page on their website. If you want a little more flexibility, Lebara Mobile also offers a range of 30-day Pay As You Go bundles. These bundles work in a very similar way to Lebara’s SIM-only deals except that you don’t necessarily need to renew the bundle automatically every month. If you don’t renew your bundle, you’ll move over to traditional Pay As You Go rates. Unfortunately, this added flexibility means you’ll generally get smaller allowances for the same monthly price (e.g. less data and fewer international minutes to a more restricted list of 39 countries, etc). Lebara Mobile’s Pay As You Go bundles are available for purchase online or in-store at one of their partner retailers. * Excludes calls to Top Connect Mobile in Estonia. The inclusive international minutes on Lebara Mobile’s SIM Only plans can be used to call people in 41 countries. 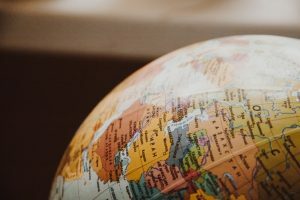 With a Pay As You Go bundle, there’s a slightly reduced list of 39 countries (minus Israel and South Korea which are only available on the SIM Only plans). There are currently a number of special offers available for customers joining Lebara Mobile on a SIM-only or Pay As You Go basis. 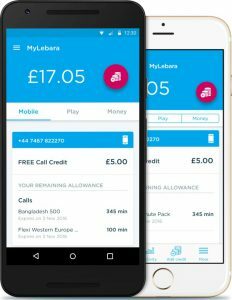 For new customers who are joining Lebara Mobile from another network, it’s currently possible to get £10 of free credit when you transfer your phone number to Lebara. To qualify, you’ll need to request a PAC Code from your old mobile network which should then be provided to Lebara after you sign up. If you’re a student with a NUS TOTEM/Extra card, you can get a 10% discount on Lebara Mobile bundles and top-ups. Simply enter your NUS ID in the promotion code box when purchasing your SIM-only deal or bundle. Please see the Lebara Mobile website for a full list of currently available offers. With Lebara Mobile’s SIM-only deals and Pay As You Go bundles, you’ll need to provide your own unlocked smartphone to use with the service. This can either be a mobile phone that you already have, or it can be a brand new smartphone that you’ve purchased SIM-free and unlocked. If you’d like to use your current smartphone, it may be necessary for you to first unlock it. 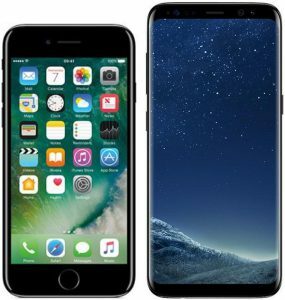 For more information, see our guide to mobile phone unlocking or our step-by-step guides on unlocking an iPhone and unlocking a Samsung Galaxy smartphone. If you’d like a brand new smartphone on which you can use your Lebara SIM-only tariff, there are a range of potential retailers listed here. We’d recommend having a look at handsets from the Moto G family as they tend to be fairly powerful and well-priced mid-range devices. In the UK, Lebara Mobile is a virtual network operator, making use of 2G, 3G and 4G coverage from Vodafone. Customers using the Lebara Mobile network should therefore receive the same level of coverage as customers on Vodafone. At the time of writing, this is 98% population coverage, including 97% population coverage on 4G. Unfortunately, it isn’t currently possible to use Wi-Fi Calling or 4G Calling on Lebara Mobile. 4G coverage has been available to Lebara Mobile customers since Q2 2018. 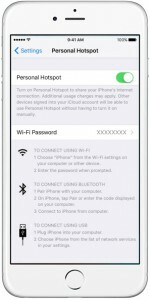 Tethering or personal hotspot refers to the process of sharing your mobile phone’s broadband internet connection with other devices (e.g. with your laptop or tablet). Tethering is something that we don’t advise since our data plans are design to be use with our sim cards not to be shared. 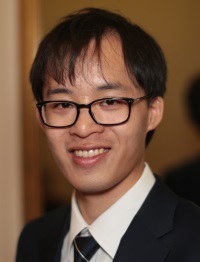 You can share data if your device lets you, but if you have connection issues or other issues related to the tethering, we won’t be able to assist you. In the past, tethering has been explicitly prohibited on Lebara Mobile’s bundles. 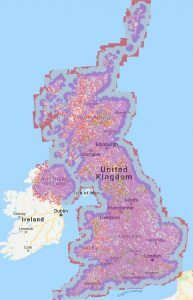 See our in-depth guide about tethering on UK networks for more information. You can use your Lebara Mobile SIM card whilst travelling abroad through the international roaming service. If you’re travelling within Europe to another EU/EEA country, you can use your normal SIM Only or bundle allowance (subject to a fair usage policy of 4.2GB on the £10 tariff, 6.2GB on the £15 tariff and 8.3GB on the £20 tariff). This is described in the fair usage policy on this page. 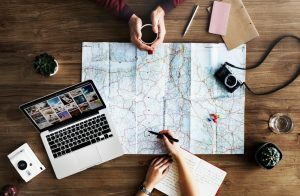 If you’re travelling outside of Europe, you’ll pay substantially more (typically up to £3.49/minute, 49p/text and £14.99/MB). If you’re joining Lebara Mobile to take advantage of their SIM Only deals or Pay As You Go bundles, it’s a straightforward process to keep your current phone number. You should start by ordering your SIM-only deal or Pay As You Go bundle from the Lebara Mobile website. Once you’ve done that, you should contact your old mobile network to ask for a PAC Code. It’s a legal requirement for your old mobile network to provide you with a PAC Code within 2 hours of your request. When your new SIM card arrives in the post from Lebara, it will initially have a temporary phone number assigned to it. Contact Lebara Mobile Customer Services by dialling 5588 on your Lebara Mobile SIM card (or 0870 075 5588 from any other phone). Give them your PAC Code over the phone and they’ll then arrange the transfer of your phone number (normally for the next working day). You’ll also receive £10 of free credit if you’re eligible for the offer (we recommend buying a plan or topping up your SIM card prior to the call to make sure you qualify for the offer). I’ve paid 5pounds and delivered the sim but plan is not acvtivated. Sorry to hear about the problems you’ve experienced with Lebara Mobile. I’d recommend contacting them with details of your SIM card and order, and asking them to take a look into this for you. There’s no reason at all why you couldn’t order a SIM card for him, as there’s no need to undergo a credit check for Lebara and it doesn’t get linked to your credit file. Ideally, you should try to set it up with his payment details (you could use your own as well, but you’d then be responsible for paying all of the bills). I really appreciate this blog, it really helpful and because of your advice I recently got Giff Gaff sim card as it seems like its the most affordable network to call Eritrea. Do know of any other networks that have a better deal to call Eritrea. Any help would be appreciated. I’ve not been able to subscribe either, saying my payment won’t go through due to a error with my card that is working on all other sites. I’ve tried two cards. Thanks very much for letting me know about this. I’ve pinged the guys at Lebara to let them know the issue, and will update you all as soon as I hear back. I think the £5 plan has been discontinued almost as soon as it began. I tried for an hour using different cards. All resulted in an error. Tried again just now and gave a general site error (different to the error received before). Not a good look for a company. I’m avoiding companies that can’t even handle payment processing; doesn’t inspire confidence in their other operations. Having a nightmare trying to simply pay for my order. Keeps saying “error”. I’ve run through my entire collection of credit and debit cards. Now I simply don’t care enough to keep going. What an awful first impression. But thanks for the review Ken!